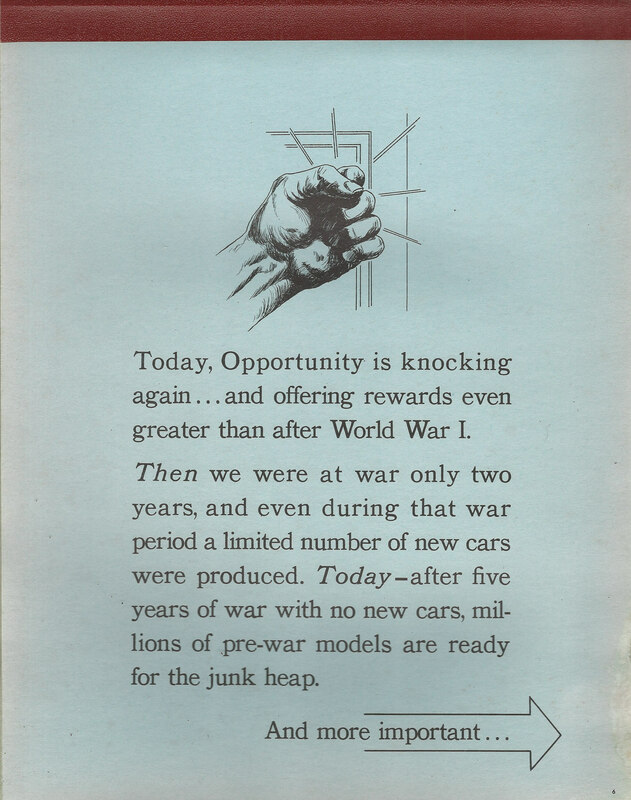 Today-after five years of war with no new cars, millions of pre-war models are ready for the junk heap. 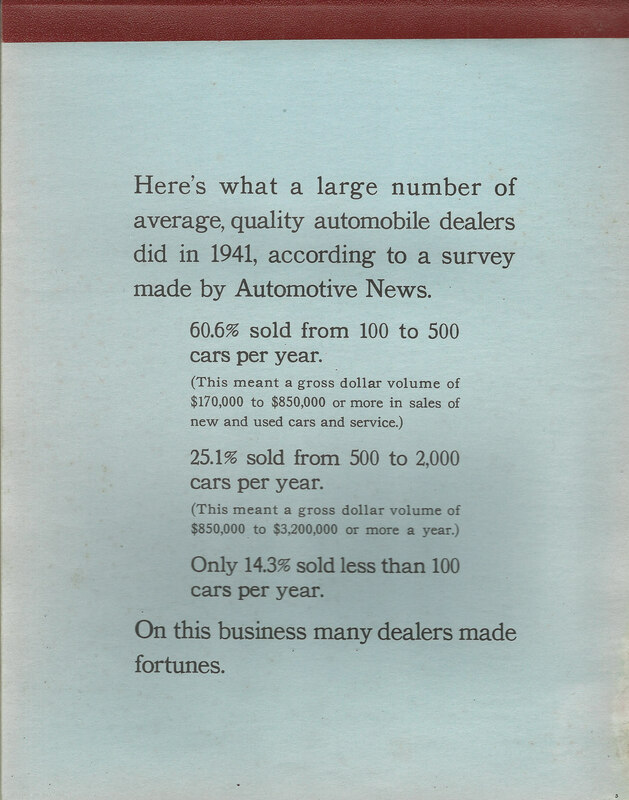 ...more than 7,500,000 Americans are waiting to buy new cars. 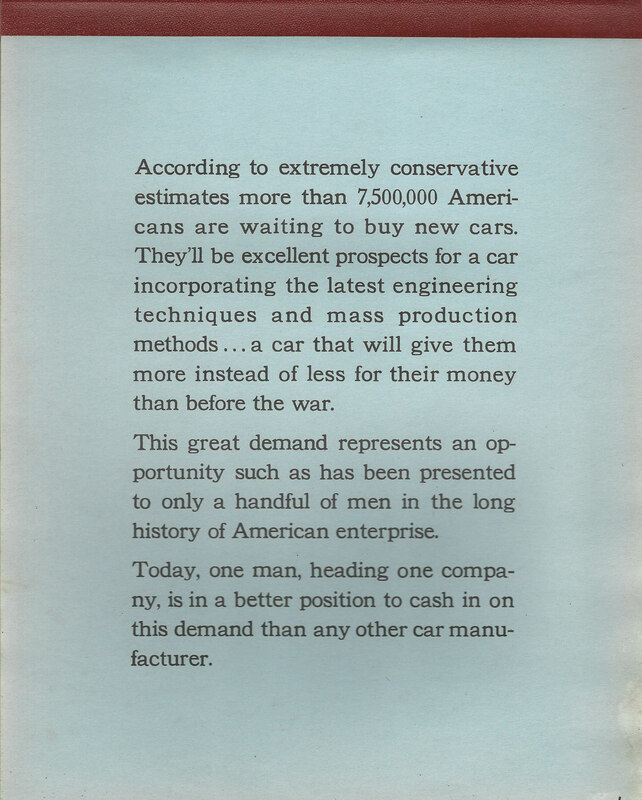 Today, one man, heading one company, is in a better position to cash in on this demand than any other car manufacturer. 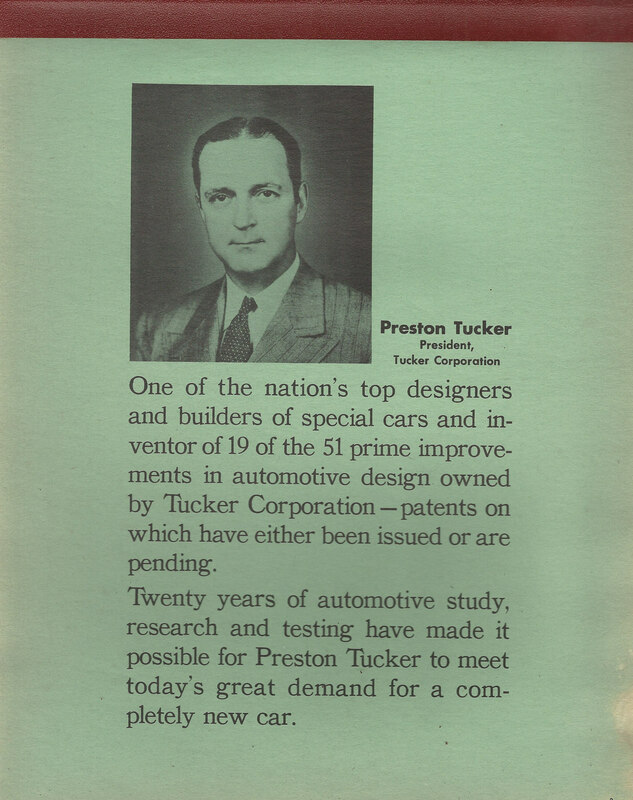 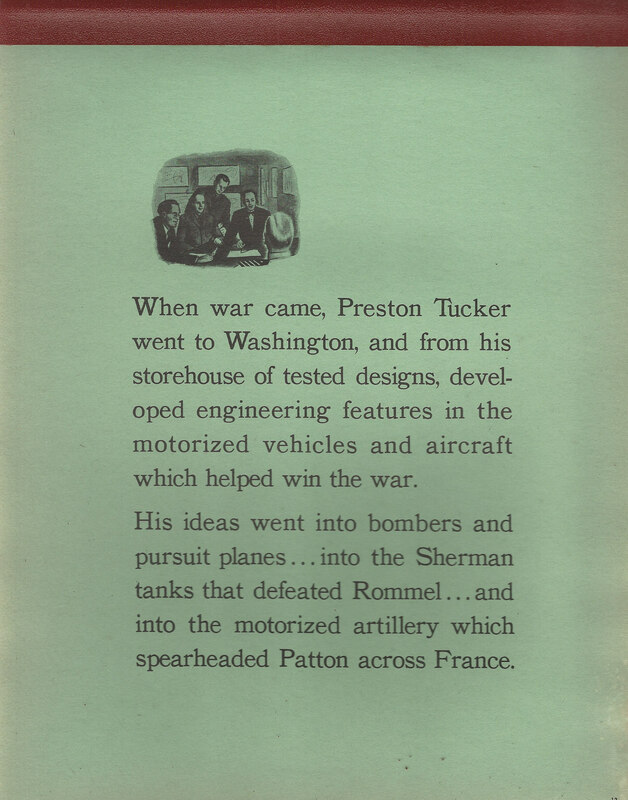 And so the Tucker '48 was born. 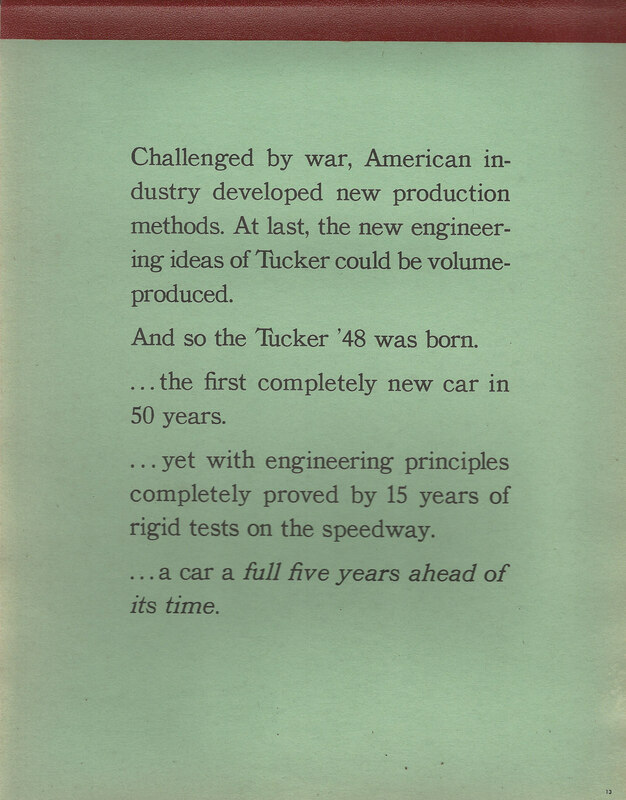 ...the first completely new car in 50 years. 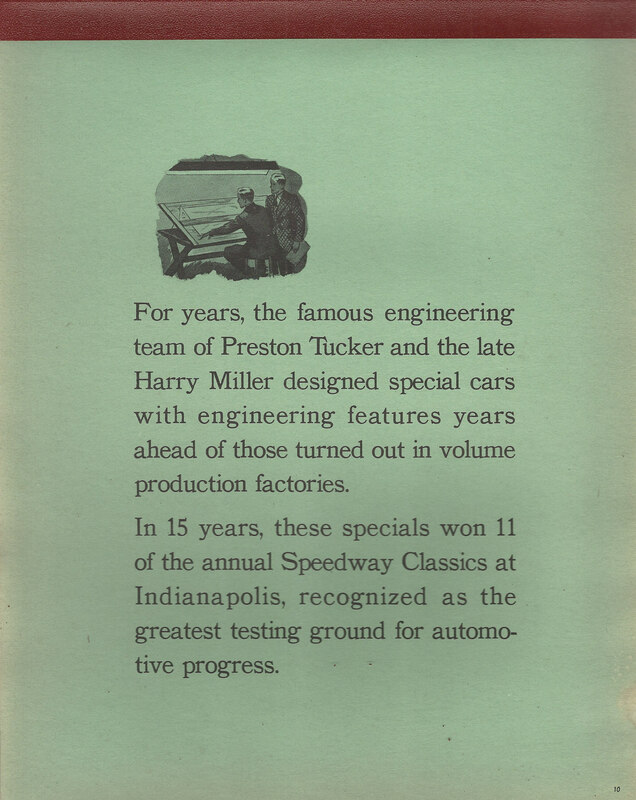 ...yet with engineering principles completely proved by 15 years of rigid tests on the speedway. 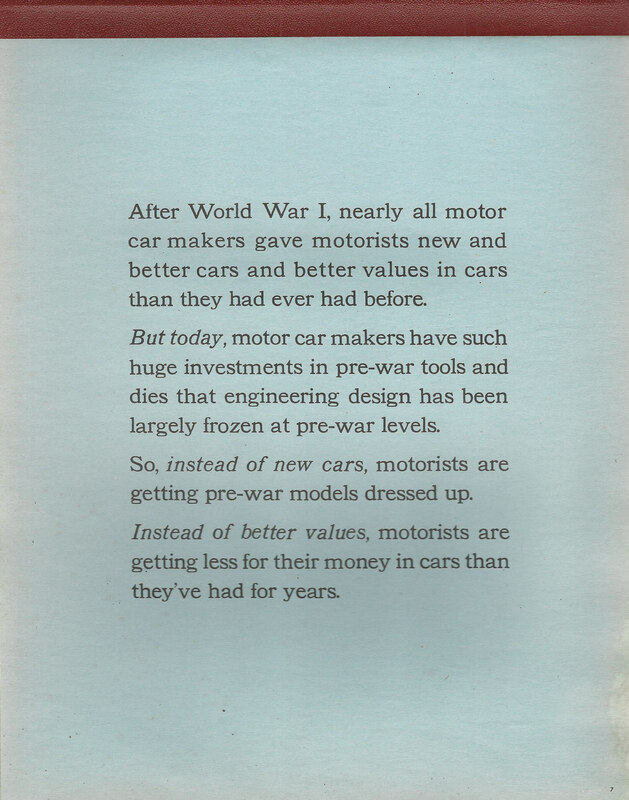 ... a car a full five years ahead of its time. 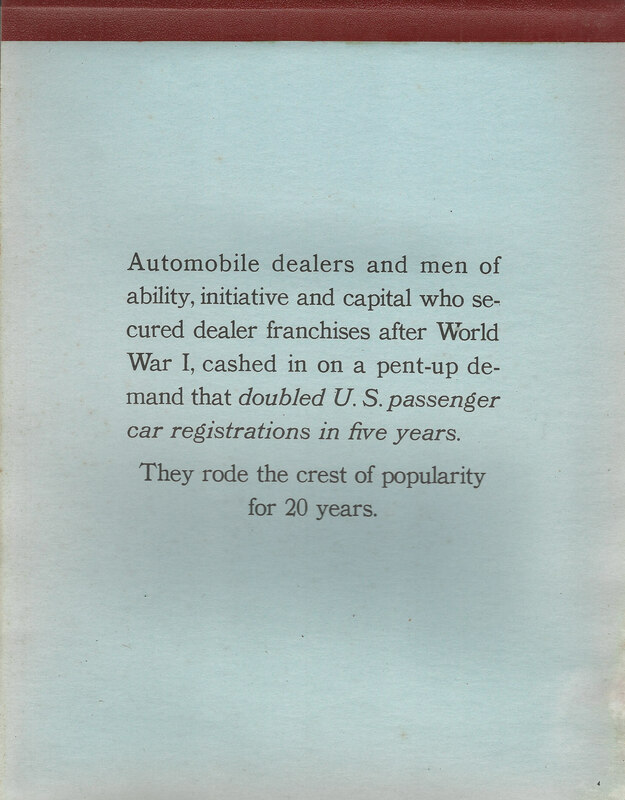 Nicely written marketing pitch. 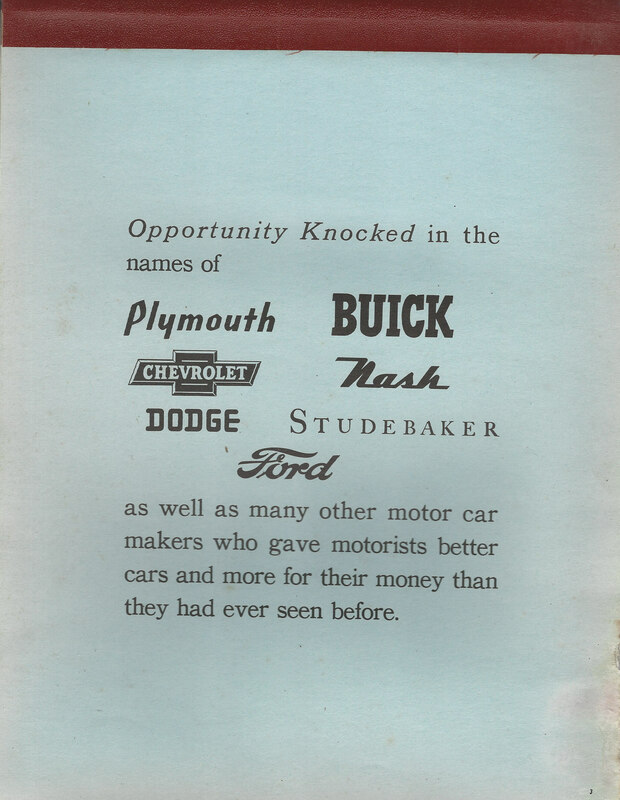 It was a great opportunity but I do believe that post war car sales were weak not only due to a shortage of product. 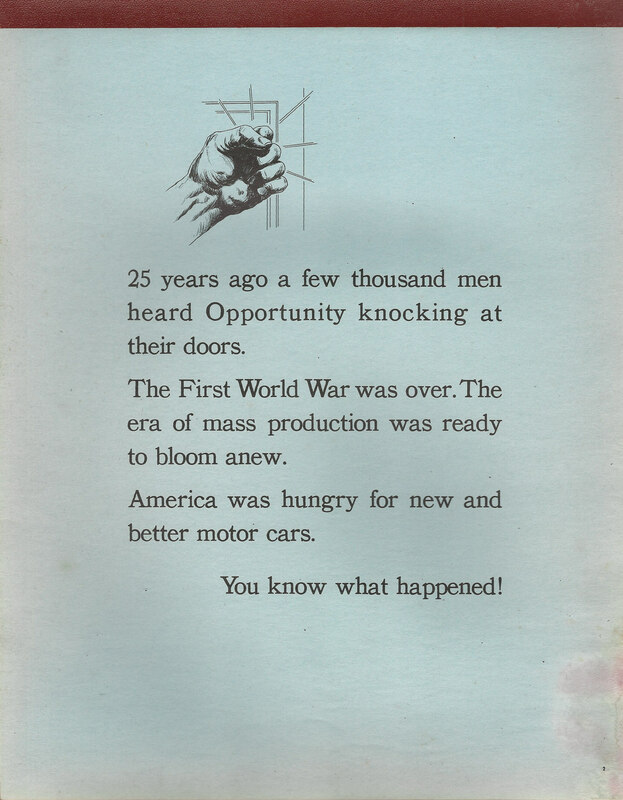 The country was also in a recession during the late forties. 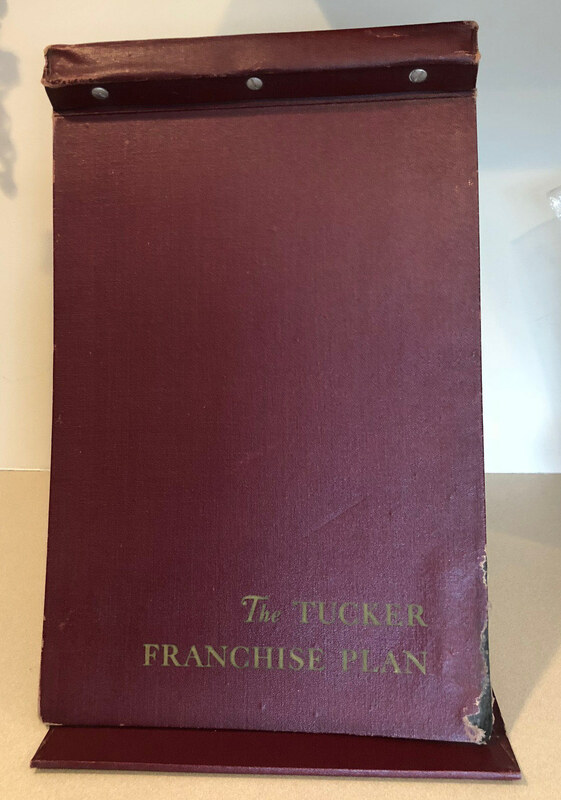 That was another challenge for Tucker. 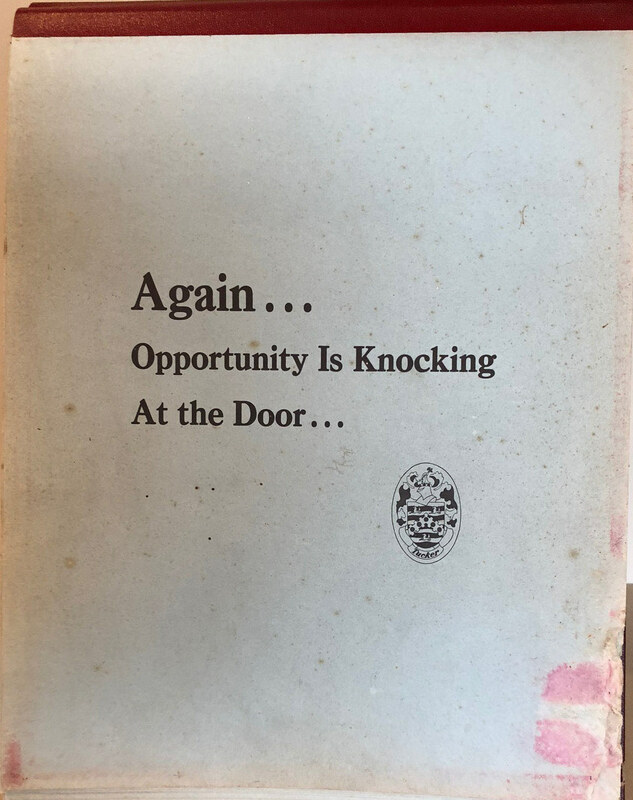 Looking forward to the rest of the literature.